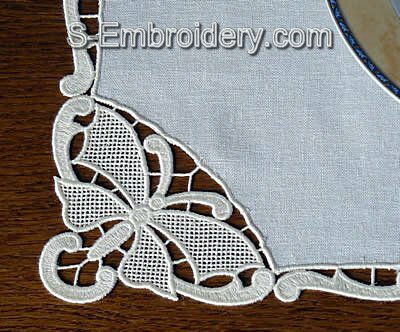 A set of 5 free standing lace machine embroidery designs. 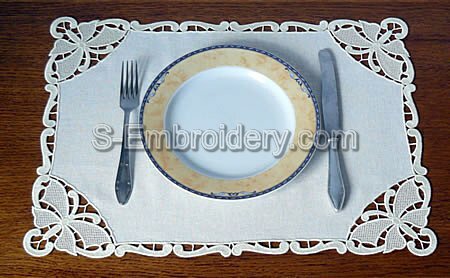 Using the set in different combinations you will create the butterfly free standing lace place mat, featured on our web site (44 x 32 cm) or a table runner/table top with a size to fit your embroidery project. You receive 5 machine embroidery files in one of the supported formats and PDF files with design information and instructions.